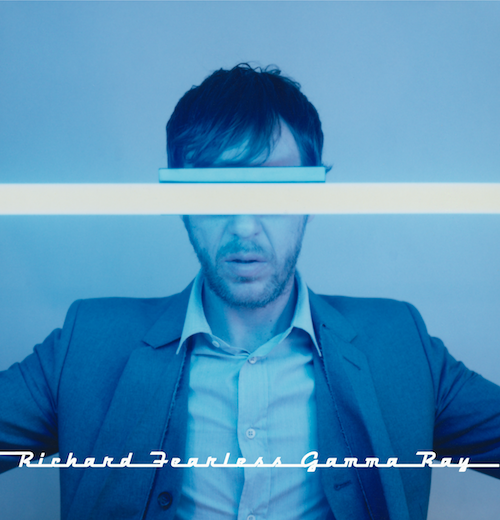 Richard Fearless has plotted his comeback. Although he’s best known as the frontman of the electronic/psychedlic/kraut/dub/indie rock outfit Death In Vegas, the London-based artist is ready to make a name on his own as a producer. He’s already followed up first solo effort, a single from May titled “Higher Electronic States”, with another track for his Drone imprint, “Gamma Ray”. The tune first appeared a few weeks back, and now he’s offered us the honor of revealing Legowelt’s remix of the plodding, icy original. The Dutch analog mainstay infused Fearless’s work with a more fluid momentum, as his beat seems to roll along under wavering notes, a whining melody, and a touch of acid. Both versions of “Gamma Ray” are out now.